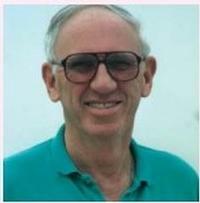 Robert “Bob” J. Sullivan, 82, an early associate of industry pioneer Igor I. Sikorsky, passed away recently following a rich career in helicopter and propulsion systems design. His education was interrupted during World War II by his service in the Army Air Corps, which he served as a helicopter maintenance officer. Graduating from Massachusetts Institute of Technology in 1946, he joined Sikorsky Aircraft as a flight test engineer – later becoming a propulsion engineer. Bob performed the propulsion analysis for the XV-2 “convertiplane” concept, capable of operating as a helicopter for hover and low speed flight and as an airplane at higher speeds. The rotor was to be driven by compressed air ejected from tip nozzles; once reaching higher speed, the rotor was to be stopped and folded and the aircraft would have become a jet-powered airplane. In 1956, he joined Hughes Helicopters in California where he designed tipdriven helicopters such as the XV-9A hot-cycle aircraft, which used exhaust gases from the jet engines to power the rotor. He presented papers on tip-driven helicopters at two AHS Forums. Before retiring in 1985, Bob became the propulsion expert for all Hughes shaftdriven helicopters, such as Models 300, 500 and the Apache, ultimately becoming the Hughes Apache T700 Interface Manager.